After reflecting on it for a few months, and discussing with other fellow workers, I think I was right to promote long-term planning, and to think in materialist terms about what our organization should look like. I also think I was right to ask if I was being too modest. I think that if we had the collective ambition, invested the resources, and had a resilient structure which could scale quickly, we could meet these goals in five years rather than ten. An average of twenty new articles every month on the website, with at least two-thirds about active workplace struggles that IWWs are involved in, and web traffic 10x higher than whatever we currently have. OK. These are concrete, measurable goals. They require a plan to get there, and a lot of work. For example, in the US we currently have ~800 members in branches, and ~400 at-large members. Getting to 10,000 could be done in four years, if we doubled in size every single year. Considering that our US membership is roughly the same as it was when I joined in 2005, that’s a tall order. I have plenty of thoughts about concrete steps we can take to move in this direction, which I’ll turn into a post next week. I’m not putting them in this post, because I’d like to invite others to think about how we could implement these or similar goals, and because I also want to begin the discussion by talking about goals before strategy and tactics. So, what do you think? Do you agree or disagree with the very concept of creating five-year goals for the union? Are some of the goals too ambitious, or not ambitious enough? What measurable goals do you think are missing from this list, or which ones should be removed? 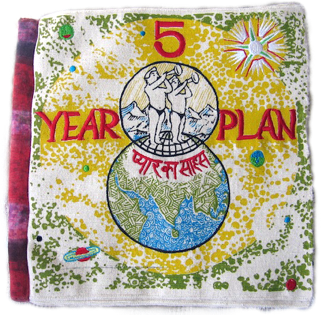 Can we complete a five year plan in four years? Have it out in the comments. Posted in IWW, Revolutionary Unionism.Tagged IWW, Materialism. Having said that though, planning and being ambitious for the IWW are all good – as are your specific goals. I suppose the question that needs to be asked is how these are to be achieved in practice. Yes, all joking aside, the five year plans in the USSR were a way for the capitalist state to extract as much value as possible from the the workers. My historical sympathy lies with the workers who counter-planned on the shop floor to keep as much control over their working lives as possible, and the reference here was tongue-in-cheek. This post was very much an attempt to ask “Where do we want to be?”, and attempt to provide a possible answer. It’s meaningless without asking “How will we get there?” I do intend to suggest concrete steps to take, but I hope that others will as well, and wanted to let both questions raise their own discussions. This is refreshing to see. A methodical, measured, long-term approach to an issue in the union. I’m a young, and fairly new member of the IWW. I’m still getting my bearings on the culture of the broader union, the issues that face us, and currents inside the union and how they approach any of it. I think it would be really exciting to see 10,000 current dues paying members in the union. With those 10,000 members, what would you like to see them doing? Do you think 10,000 members is a number of card holders necessary to do something in particular, or is the number chosen for a different reason? Love some of the other proposals, too. A more robust publishing arm of the union, and a badly needed spanish speaking contingent. In one sense 10,000 is an arbitrary number. Why not 5,000 (4x our current US size) or 20,000? I’m going with 10,000 because I think it is both extremely ambitious, and achievable. Many of the steps we would need to take would also apply to even getting to 5,000, whether we agree on those steps or not. Many of the results that we’d see with 10,000 would also be possible with 5,000, such as more widespread branches, more organizing branches, more resources put into Spanish. But 10,000 is round, and I do think that it’s imaginable to achieve in 5 years. As for what they’d be doing, lots of things. I would like us to have more long-term rank-and-file industrial networks, of people working stable, living-wage jobs and organizing for power at them. More public-facing activity would also be important (debates, leafleting workers, etc). Next Post What will we do with one less pretentious activist?